Professional Speaker Olympia LePoint debuts self-help science book, Answers Unleashed® and reveals how to redirect chaos into unleashing your brain’s power. LOS ANGELES, CALIF – Named the “Modern Day Hidden Figure” by People Magazine and seen by nearly 1 Million internet viewers on TED Talks and Impact Theory, Olympia LePoint is an award-winning rocket scientist, author and talk show host who is launching lives into success as she exposes how she overcame painful experiences – from poverty, gang violence, childhood sexual abuse, to failing math scores – to later help launch 28 NASA Space Shuttle missions into space. 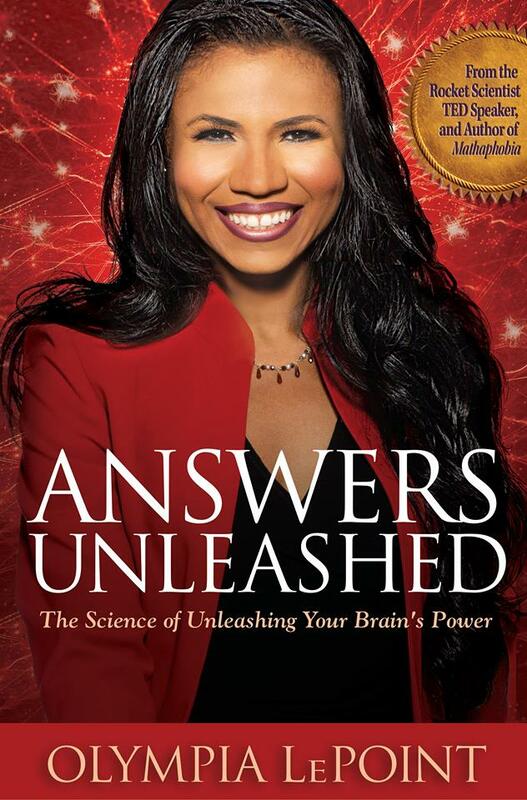 With her talk show “Answers Unleashed” and her new book Answers Unleashed: The Science of Unleashing Your Brain’s Power, LePoint delivers powerful messages through entertaining sagas that leaves readers glued to the pages, learning the #STEM based thoughts that launch lives into success. Endorsed by neuroscientist and author Dr. Jeffrey Schwartz M.D. and retired NASA astronaut Robert Curbeam, Answers Unleashed shows audiences how to succeed through brainpower-based -thoughts LePoint used on herself to overcome her life’s circumstances. Whether someone needs to rewire their brain in business, university education or self-help relationships, LePoint reveals how chaotic situations produces “brainbrink” which stalls the brain of smart people. And LePoint show how to rewire your brain through self-directed thoughts. As a method to explain how she unleashed her own brainpower, LePoint applies rocket science to her personal story as read in the easy-to-read thrilling chapters. Audiences learn to take ownership in changing their limiting beliefs, overcoming fear and launching their lives into success. 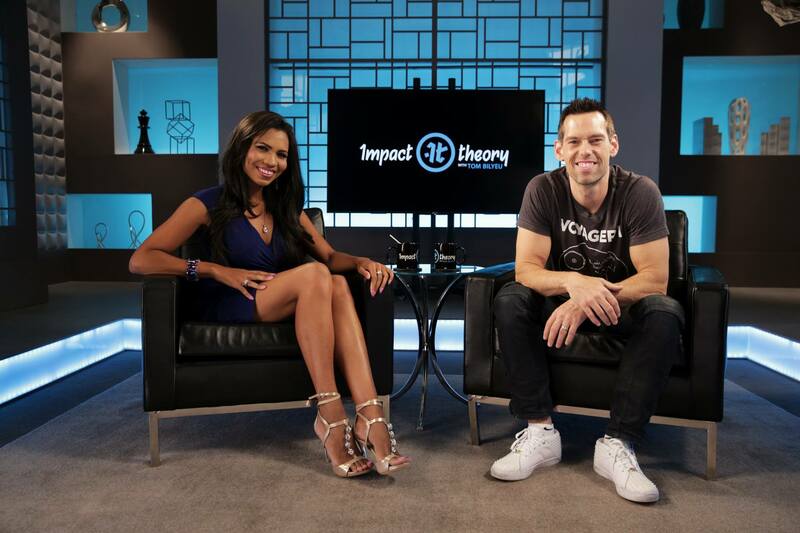 Hailed as “The New Einstein” by her “Answers Unleashed” talk show fans, Olympia LePoint coined the term “Triabrian” and developed the “Triabrain Theory of Relativity” with Chaos math, her personal story and Albert Einstein’s equations to prove that overcoming painful #MeToo experiences and becoming a genius is possible at any age! LePoint’s Triabrain Theory science debuted in TED- Like Talk at California State University Northridge in an Answers Unleashed LIVE show entitled “Your Brain Master Class” in 2018. Answers Unleashed helps individuals who have gone through painful memories to overcome fear and launch their lives into success. The award-winning rocket scientist also offers excellent self-help tools and leadership strategies for career professionals, women, trauma survivors and university students. Answers Unleashed® complements all science, psychology and faith textbooks. Answers Unleashed® currently sells in U.S. college and university bookstores, on Amazon.com, and is internationally downloadable through the Nook®, the Kindle®, iBookstore®, the Sony eReader®, Book Pie®, Gardner’s® and through other major electronic book retailers. If you are a person who wants to unleash your brain’s true powers, or redirect your thoughts in unleashing your answers, this book is designed for you. Buy or download copies today! Do you use your full brainpower? Need to overcome a challenging situation and regain success? How can you transform painful memories to serve you? Want to invent technology or need to reinvent your life? The answers are inside this book. Countless books have been written about the process of restoring the mind after traumatic situations. 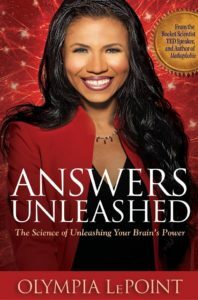 But Answers Unleashed: The Science of Unleashing Your Brain’s Power by Olympia LePoint is the first self-help brain success book written by an award-winning rocket scientist who overcame her own life challenges to launch 28 NASA Space Shuttle missions into Space. Olympia LePoint helps readers launch their lives into success by revealing the power of the “Triabrain” using “Triabrain Theory of Relativity” that LePoint developed to rewire her own brain. Readers unleash their intuitive abilities, birth great ideas into scientific innovation, and change the course of their lives by attracting lucrative success. You can become a genius at any age! Endorsed by neuroscientist and author Dr. Jeffrey Schwartz M.D. and retired NASA astronaut Robert Curbeam, Answers Unleashed shows audiences how to succeed through brainpower-based -thoughts that LePoint used on herself to overcome her life’s circumstances. Whether someone needs to rewire their brain in business, university education or self-help relationships, LePoint reveals how chaotic situations produces “brainbrink” which stalls the brain of smart people. And LePoint show how to rewire your brain through self-directed thoughts. As a method to explain how she unleashed her own brainpower, LePoint applies rocket science to her personal story as read in the easy-to-read thrilling chapters. Audiences learn to take ownership in changing their limiting beliefs, overcoming fear and launching their lives into success!